Just last week, it became clear that Donald Trump had finally won the Republican Game of Thrones. Since then, we’ve been treated to a frenzy of hand-wringing from the #NeverTrump crowd — with many Republican leaders wondering how decades of racist dog whistles, misogynistic policies, and anti-intellectualism could possibly have culminated in the rise of a buffoonish, xenophobic, misogynist who proudly yells the things generally just hinted at by the party. It’s a mystery, truly. The other wing of the #NeverTrump crowd, of course, is not mourning the embrace of radical positions; they’re mourning the loss of another xenophobic, anti-woman, anti-immigrant demagogue: Ted Cruz. After months of his family repeatedly assuring supporters that a Cruz presidency was ordained by God, they’re finally coming to terms with the fact that it isn’t. Or wasn’t. (Whichever interpretation is preferred. It doesn’t make a difference.) 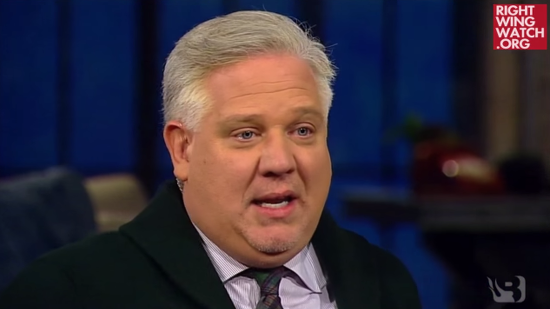 And while some are managing their grief well, some are… well, some are Glenn Beck. The rejection of Cruz by Republican voters was “the last reckoning for us,” Beck declared, warning that God will now allow this nation to suffer the consequences of our decisions. America, Beck said, has become “a petulant child” that God has warned and scolded and disciplined over and over again “but the behavior is getting worse” and so punishment must follow. Sure, some members of the party may be channeling their grief into efforts to offer an independent candidate as a non-Trump alternative for Republican voters. Even if they get one, their chances of winning seem slim. And yet Beck somehow manages to make doomed-from-the-outset seem downright productive by comparison.